For Professional and Semi Pro users, KEC provides a wide array of Public address, Audio Recording Equipment, Conference system, Sound Reinforcement Touring, Audio interface, Compressor and Limiter, Graphic Equalizer, Parametric Equalizer, Power Amplifiers, Mixing Consoles, Microphones, Studio Monitor, Audio Instrument and AM / FM Transmitter . For the very HI-END Professional Recording Studio, KEC distributes "Euphonix" Digital Mixing Console from the U.S.
And the Professional Recording Studio, Broadcasting "D&R" and "AXEL" Analog/Digital Mixing Console and Broadcasting Requirements as Software On-Air for Automated Radio System and TV , Telephone hybrid, Logger, Coders from Netherlands and Italy. 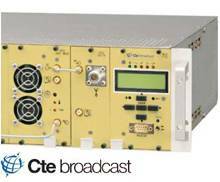 And for the TV / FM broadcasting station "CTE broadcast" Analog/Digital Transmitters, Exciter, Power Amp, Microwave /UHF Link, Audio Processor, Antennas, Cable Connectors from Italy. 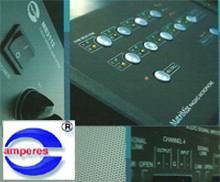 Professional Public Address (PA) System manufacturer from Malaysia. Established since a decade ago, it has evolved from a tiny fabricator to an entity that is capable enough to cater for various size of installations. And what we do ... solely Public Address Equipments and its associated accessories for the needs of our clients and only offering solution to what they need, without excessive fancies that is beyond the actual requirement. The reason, ... We came a long way, being a user, integrator and finally as a manufacturer for commercial installation. We understand the needs as we listen and react. We take pride of being small to be close to our clients but big enough to deliver to their satisfaction. Our records do the talking and we shall strive further to enhance in every dimension and to deliver. For the past 20 years, Antelope Audio has been providing studio professionals with the perfect combination of digital clarity and analog warmth. The company's revolutionary clocking, converter, and analog circuit designs are acclaimed for their flawless sound. Antelope is also known for their popular audio interfaces, which not only exhibit the company's signature sonic character, but they're also loaded with powerful FPGA DSP engines that provide great-sounding hardware-based FX. Antelope Audio interfaces and converters offer extensive connectivity with the highest analog and digital I/O count on the market over USB 3.0 and Thunderbolt. Their custom USB controller ensures the highest throughput possible for maximum hi-def audio channel counts. Among the latest endeavors of the company are the Discrete 4 and 8 audio interfaces with unique discrete mic preamps. These are perfectly matched by the company's first modeling microphones – Edge and Verge. 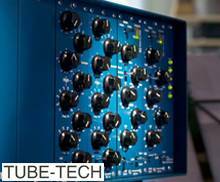 Their growing Mic Emulation libraries give users access to classic and expensive microphones, authentically modeled by the proprietary Antelope Audio FPGA FX engine. For over 35 years of Making Magic, Aphex has been at the heart of professional audio, recording, broadcast, M.I., live and installed sound. It’s a legacy we’re proud of, a legacy we will build upon as we launch new products and technologies and expand into new market segments. Everything we do is driven by our passion to create the highest quality music and vocal performances and help artists, engineers and all our Aphex friends get the most out of every audio application and experience. 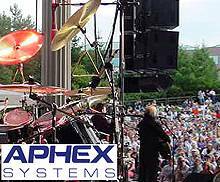 Whether you’re performing, recording, broadcasting or using sound for communications and safety applications, Aphex is committed to providing the cleanest, clearest and most effective signal and dynamics processing technologies available. That’s what sets Aphex apart – no hype, just dedicated, talented engineers and designers steeped in the world of music, voice and audio. Apogee Electronics Corporation is a leading manufacturer of digital audio hardware systems and related accessories for audio professionals and musicians around the world. 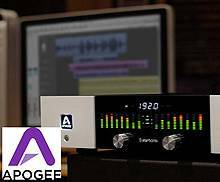 Apogee was founded in 1985 and initially made its name designing filters that solved many of the early problems associated with digital audio. Later, Apogee’s complete conversion systems pushed the envelope of digital audio quality and established Apogee as a key innovator in the field of professional digital audio. Compact lightweight and easy to operate recorder for on-the-go recording situations. 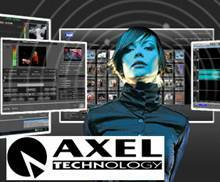 Axel Technology's extended know-how is based on the large experience as system integrator, and allows the designing of complex turn-key systems, in order to interface different equipment in an easy way, that gives the clients the most efficient and price competitive working systems ever. Radio studios with multiple control rooms, multi-channel video logging systems, single or multi-channel radios and TV automation systems are currently delivered in Italy and abroad. The delivering and installation services, together with the on-site training of local operators and the online support services, are a strong part of Axel Technology's business. As strongly market-oriented. The Cadac name has been synonymous with premium quality audio mixing consoles for over 45 years. Cadac have a range of both analogue and innovative digital consoles aimed at the live sound market and the company is continually investing heavily in research and engineering to develop the next generation of digital consoles. Currently Cadac’s flagship digital console the CDC eight has been deployed in a variety of applications ranging from theatre shows and major stadium tours to Houses of Worship and broadcast. Cadac are now redefining customer expectations of digital mixing by designing consoles with previously unachievable low latency, audio quality, and ease-of-use. CTE Digital Broadcast, with premises in Milan and Reggio Emilia and Bologna, together with its partners Meta System, CTE International, Teko Telecom and Midland International combines into one company 60 years of experience and competence in the broadcast transmitter field, as well as having a considerable capacity for constant innovation. You want flexibility in your studio? Create your own platform? We have the solution! D&R Electronica Weesp b.v. has been operating for 40 years now. as well as towards the future. D&R was founded in March 1972 by (D)uco de Rijk and(&) (R)onnie Goene. Their aim was to design and manufacture mixing consoles for the music industry that were both affordable and of high quality. 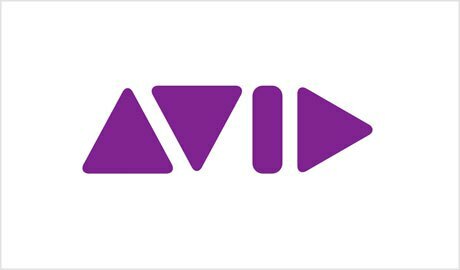 Since then, the company has gone far beyond its pioneering phase, weathered various economic storms and has expanded into a concept in the professional audio world. Our export business worldwide to every country you can think of has brought with it a steady growth in turnover and widespread distribution among buyers. Dynaudio was founded in Denmark in 1977 with a focus on creating the ultimate Hi-fi speakers. Later, the market approach was expanded to include the automotive market supplying high-end car installations for VW and Volvo executive class cars. After experiencing overwhelming interest from the professional audio market, Dynaudio decided to establish a subdivision in 1992 with the sole purpose of creating professional monitors. In 1999 Dynaudio Professional and TC Electronic entered into a strategic alliance. Since then, a major leap forward has been taken within the sphere of professional monitors, due especially to the sharing of knowledge between the two companies. Over thirty years of our history of innovation. 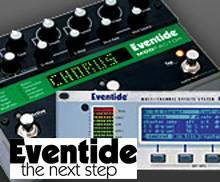 Eventide equipment is pervasive in recording and broadcast facilities, police stations across the nation, and aircraft around the world. 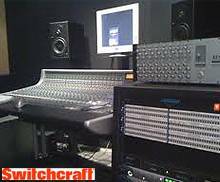 Our industry-leading special effects equipment is audible on almost all popular recordings. Our digital voice logging recorders capture the history of civilization, frequently in minute detail. Our goal is to continue making neat, innovative stuff, and perhaps a few of the bucks, too. Wish us luck! Maybe a more assiduous Webmaster will add annual entries henceforth. 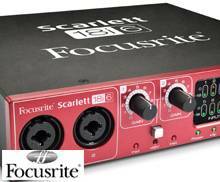 The Focusrite brand was established way back in 1985 and the founding principles of the company were to develop products that sounded more musical, in addition to just measuring well - today,we still carry these founding principles forward in our class-leading and award-winning designs. 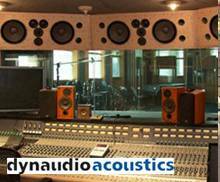 We measure our success by the success of you, our clients, and you will find Focusrite product prominent in professional and project studios throughout the world. Based just outside of London, we work with the best design talent throughout the world to bring you the tools to enhance the way you work. Our product is made with pride and principle in a highly automated ISO 9002 factory with significant level of test by engineers who themselves are musicians and understand the part our product plays in your process. 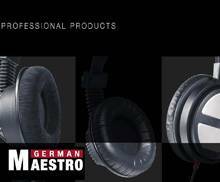 GermanMAESTRO is a premium audio brand founded by members of the management and leading employees of the recent German MB Quart enterprise. We as the GermanMAESTRO Team are continuing the proud tradition of best-in-class professional headset/headphone design and manufacturing in our renowned Obrigheim, Germany. 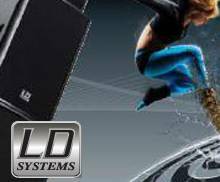 With LD Systems you will always find a suitable PA system, whether you are looking for an active or passive system, a plastic or a wooden housing. The 8”, 10”, 12” and 15” models are supplied in performance classes with 150 W to 600 W of music power. Power of up to 1000 W is available for the active and passive subwoofers. All loudspeaker cabinets are equipped with high-quality components and speakers from Eminence USA or with our own chassis and tweeter drivers developed especially for us. Our mobile all-rounders are loaded with features and suited to a wide variety of applications. The RoadMan and RoadBoy systems are ready to use at any time, whether for schools, kindergartens, clubs or other public events. For all mobile requirements, the UHF wireless system, CD/MP3 player, USB MP3 player, SD Card reader, high-performance rechargeable batteries and a multitude of other useful features provide solutions that won’t let you down. 2013 marks the Fifteenth Anniversary of the founding of Lynx Studio Technology. 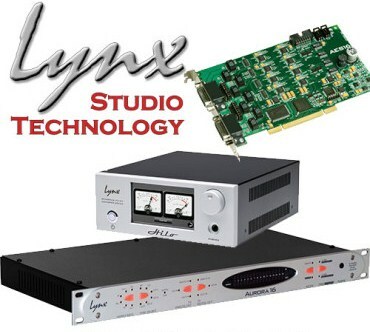 Lynx products have been adopted worldwide by top broadcasters, studios, performers, producers, engineers and audiophiles. Milab Microphones is a world-leading manufacturer of professional microphones for studio, stage and broadcast applications. Our history can be traced back to 1939, making us one of the true pioneers in microphone manufacturing. 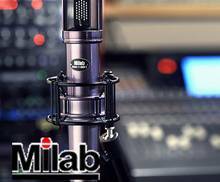 Today Milab is a highly regarded brand and delivers state-of-the-art microphones to studios, engineers, producers and artists all over the world. All Milab microphones are handcrafted in our plant in Helsingborg, Sweden. Our quality control is meticulous and all microphones have to pass several stages of testing, including rigorous audio tests in our anechoic chamber. Every microphone is delivered with an individual frequency chart and shipped with a lifetime warranty. 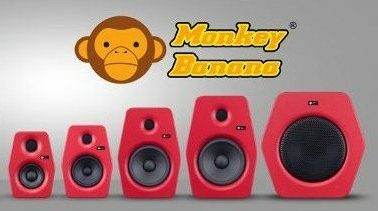 In 2004 we started designing speakers for our own studios. Our motivation: Affordable speakers failed to meet our requirements in terms of sound quality. Following years of development, improvement and testing we managed to start our own manufacture. Finally, with the constant support and encouragement of our friends, we were able to present our first products to the public in 2010. As a result, we have inspired a lot of passion, enthusiasm and good vibrations around the world. Thanks to everyone who has supported us! Without you none of this would have been possible! Roland Professional is dedicated to the support of audio professionals demanding excellence in both performance and system design. Through the development and support of Roland audio products, we endeavor to improve workflow and maximize creative possibilities in a variety of markets. Markets we serve: Broadcast, Education, Legal, Live Production, Sports, Theater, Theme Parks, Visual Performance and Workship. 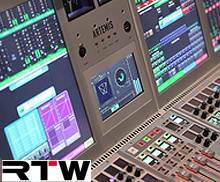 For more than 45 years, RTW from Cologne has accompanied the steady technological progress in the pro-audio industry with innovative instruments and technologies for visual audio monitoring in broadcast, production, post-production, and quality control. Whether audio metering, loudness metering, or signal monitoring, RTW’s state-of-the-art systems are the result of a future-oriented strategic approach that focuses on continuous development while putting maximum attention to reliability and protecting their clients investments. The Sontronics brand was launched at the 2005 NAMM Show with a small range of studio microphones . Since then , we have grown from strength to strength range of Brithish-design products now includes studio condensers,valve mics,ribbon mics,drum and guitar mics,and handhelds as well as mic capsules our 100% made-in England. 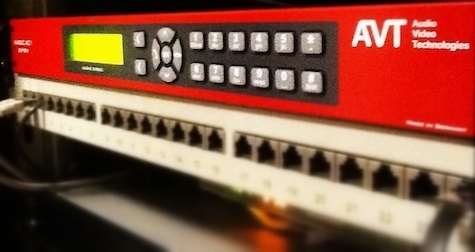 Switchcraft is a major supplier of harsh environment connectivity products to the Industrial market and the premier connectivity provider to the Pro-Audio & Broadcast Industries. Lydkraft History TUBE-TECH has now been around for 25 years.More than 15.000 Blue Units have been shipped from Lydkraft, Denmark. Lydkraft was founded in Denmark in1977 by John G.Petersen and two partners.The company originally served the PA market but turned away from this area of business in 1980 when John Petersen took over the company and focused his efforts towards the design, development and manufacturing of direct boxes, mixing desks and speaker systems. John liked the high quality and the simplicity of these units and started working his own tube designs. Due to decreasing sound quality from modern studio consoles, the demand for vintage high quality tube gear was increasing and John decided to start development of his own units in 1984. 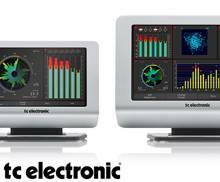 TC Electronic continues to be very focused on new technologies and products with its approx. 40 R&D staff. Today, the company is not only a leader in digital signal processing, but also a major player in other aspects of the digital audio technology world, such as digital amplification and networking. Our users include some of the most demanding customers in pro audio, e.g. top artists, world class recording studios, the largest TV and radio stations, the most prominent theatres, operas and other installations and public address companies. 2012 © Sukosol Group. All rights reserved.